Life has been a bit hectic lately, but that hasn’t stopped me from baking up quite the storm. It doesn’t help that I’ve fallen in love with the Great British Bake-off. Whenever I see someone making delicious food on tv, it always gets me excited to be in the kitchen. Hubby enjoys this, at least at first. After multiple sweet treats in a row… he may wish I’d stop watching such shows! 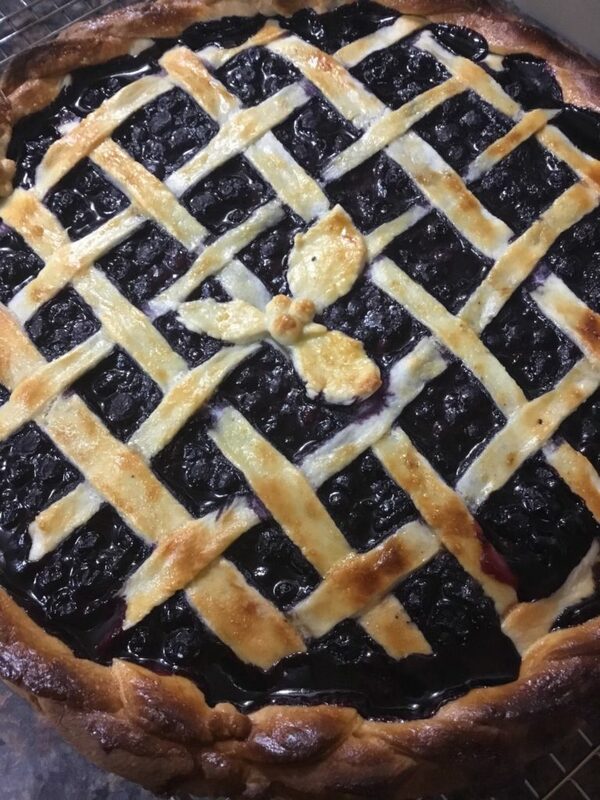 First I went through a pie making craze. 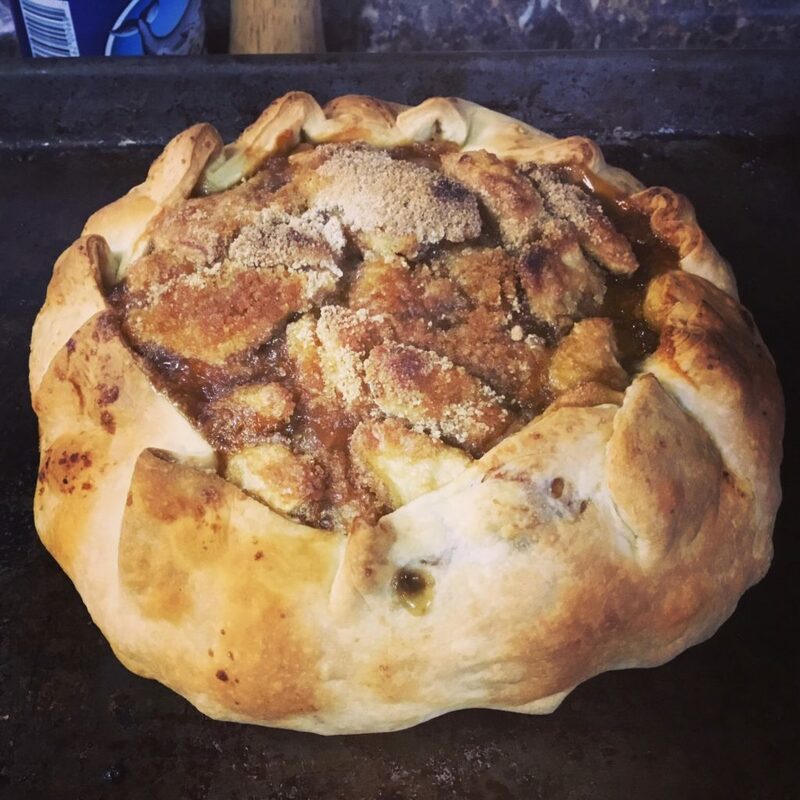 I used a British style pastry, which was so much easier to work with! It allowed me to practice some of my pie decorating without having to worry about it crumbling on me. At our church, we do a monthly seniors luncheon. Well, this past month the lady who usually runs it was away and the lady who usually makes the desserts was terribly sick. 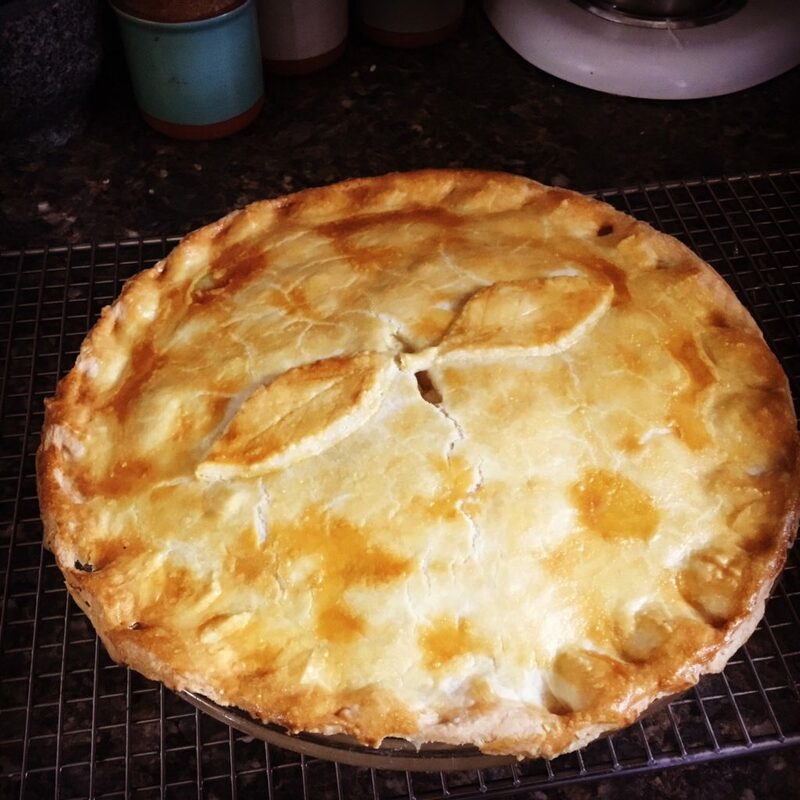 I volunteered to make the pies since I was in this pie-making craze. 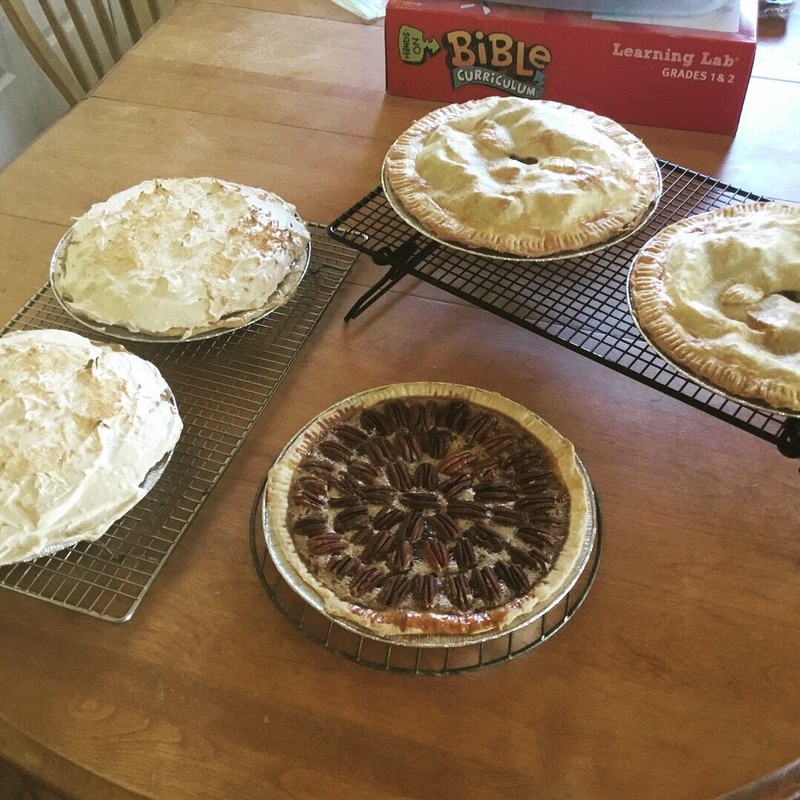 I made 8 pies, 4 different kinds. Coconut cream, Apple, Custard, and Pecan. I’m told they turned out well. A few of the pies. 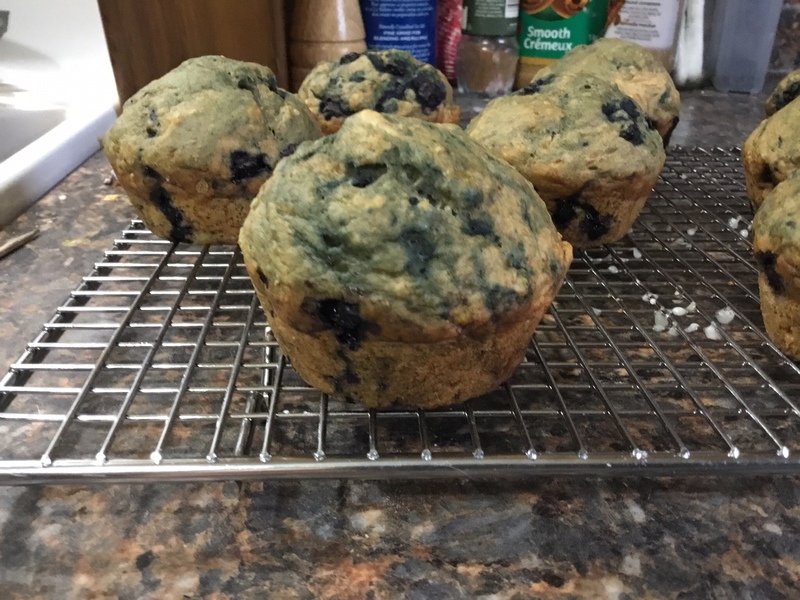 I also made some blueberry muffins, pesto biscuits, and chocolate eclairs during this time. These were purely selfish bakes! 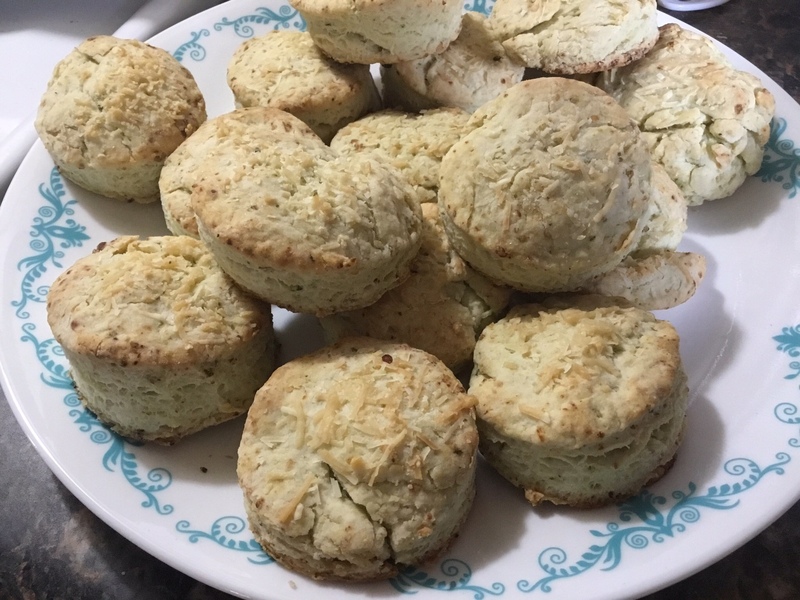 😊 I’ve tried a few different scone recipes as well, but don’t have pictures. Our favorite is a Vegan Lemon Poppyseed Scone. 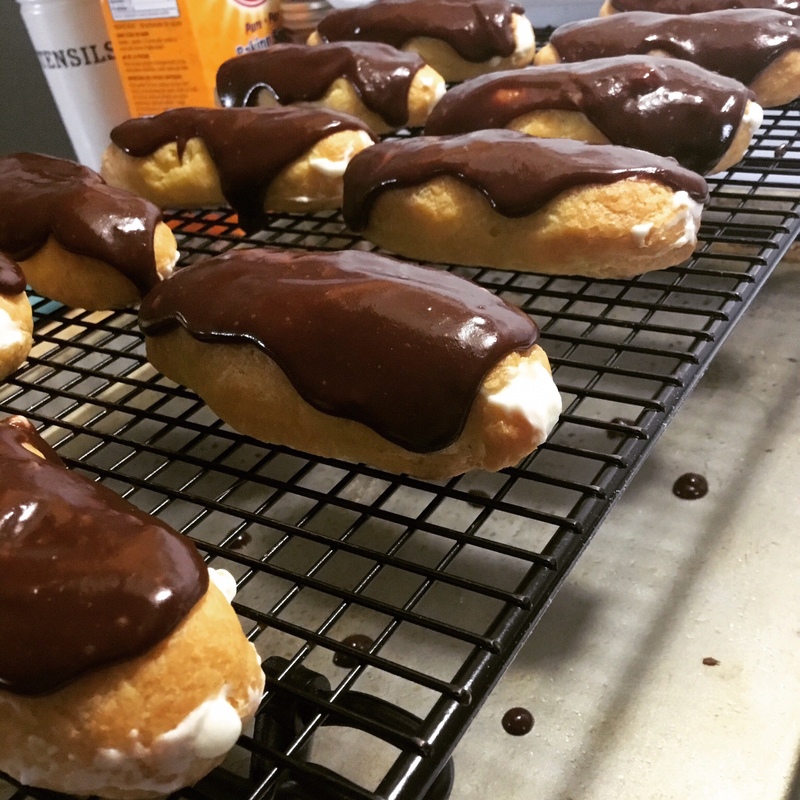 The Eclairs went over quite well with hubby. We may have eaten all twelve within 4 or 5 hours. The baking has settled down a bit… mostly due to an increase in my weight! But I still have a few more treats I want to try out. I just need to find some people willing to eat a few so that hubby and I don’t eat them all. Previous postSometimes life gets a bit crazy!